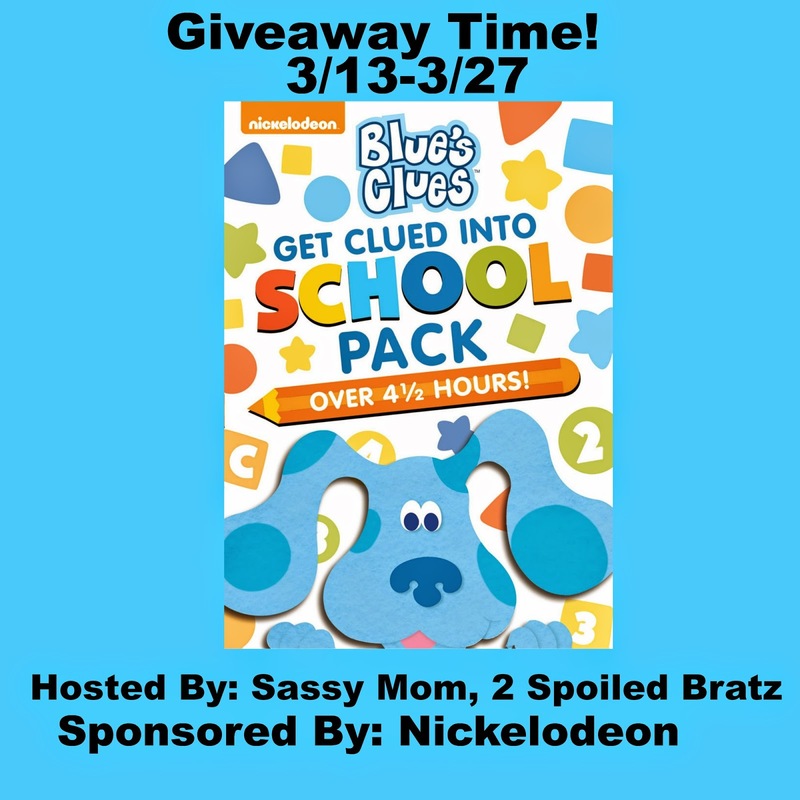 Sassy Mom, 2 Spoiled Bratz and Nickelodeon teamed up to bring you a giveaway for a copy of this amazing DVD! A perfect way to spend family video night! My kids love Blue's Clues, and I am sure yours do as well! Yes, we have watched Blues Clues several times and yes I have gotten a song stuck in my head. I've watched Blue's Clues a few times over the years. The song is very catchy, LOL. Thanks for the giveaway!